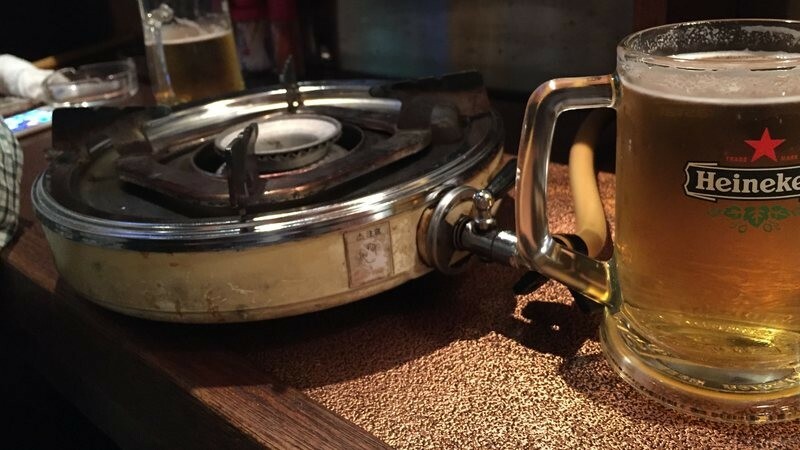 Lido Inshokugai is a pub complex with some of the best food in Kyoto and a great atmosphere. 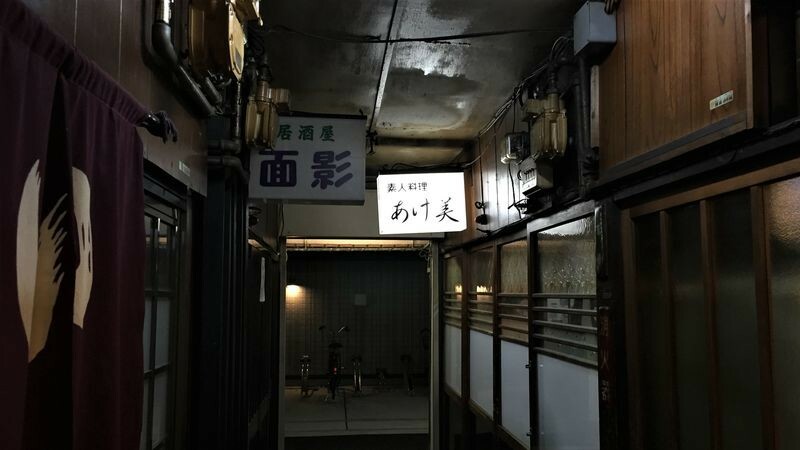 Lido Inshokugai almost looks like a time capsule from the Showa period; like nothing has changed in something like 40 years. 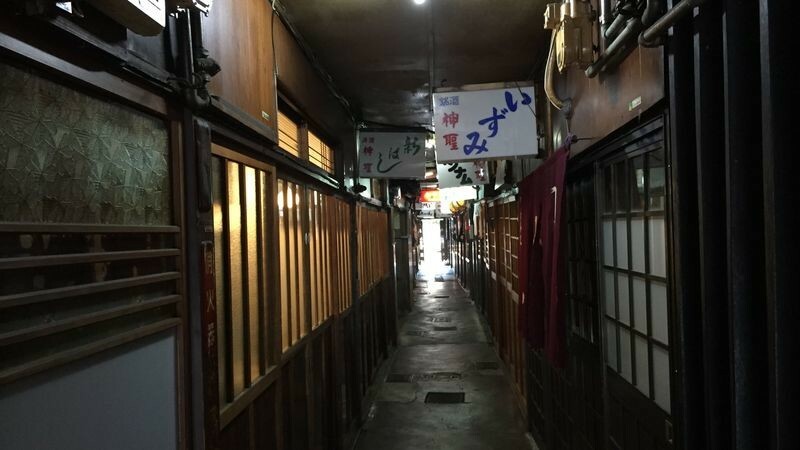 But actually, when you go inside, you can find some of the best food in Kyoto: the pub Jijibaba has even been chosen as one of the top 10 restaurants in Kyoto! Lido Inshokugai can actually be found quite easily, as it is really close to the Kyoto Tower. Just go past Kyoto Tower toward the north, and then turn left on the next big junction and you will get to see this sign in few minutes. This place is easy to overlook, but inside you can find all kinds of interesting bars. There is a narrow path inside the building lined with pubs, and, of course, all of them quite cozy. They don’t look very inviting, though the service is mostly very friendly once you get inside. Just don’t expect service in English. This is Lido Inshokugai as seen from the other side. When you look at this it’s really hard to believe how good the pubs inside of it are. 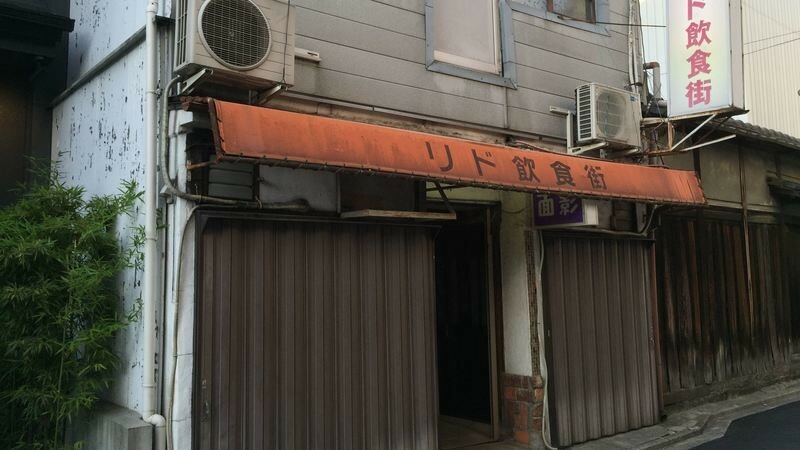 First we went with the most famous pub in the complex: Jijibaba. 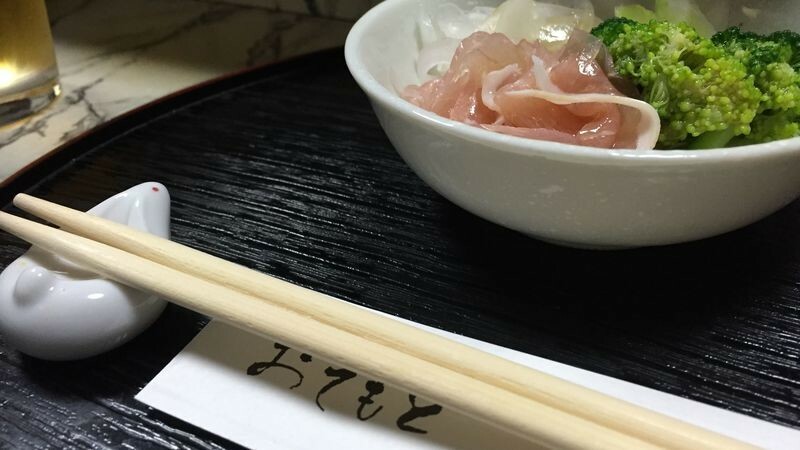 They offer Japanese izakaya dishes with an international twist. 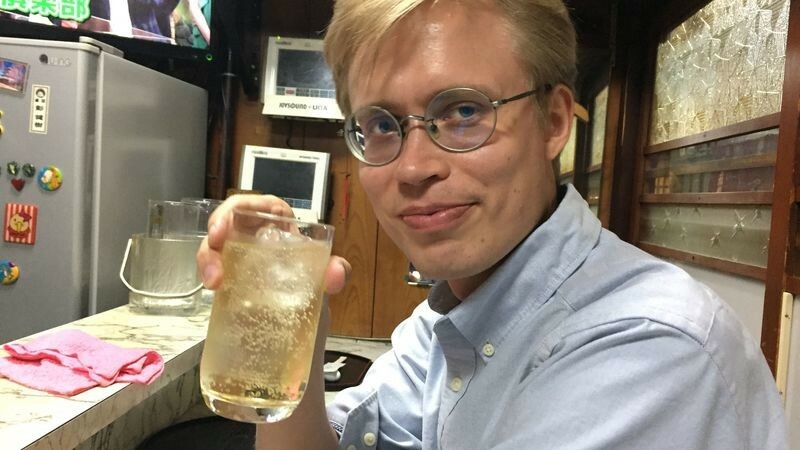 So here I’m in Jijibaba enjoying the night’s first pint. At Jijibaba they have Sapporo; my favorite Japanese beer. Most of the restaurants in Lido Inshokugai have an “otoshi” system where you have to pay a (usually) 400 yen cover fee to enter, but for this cover fee you also get a small dish. 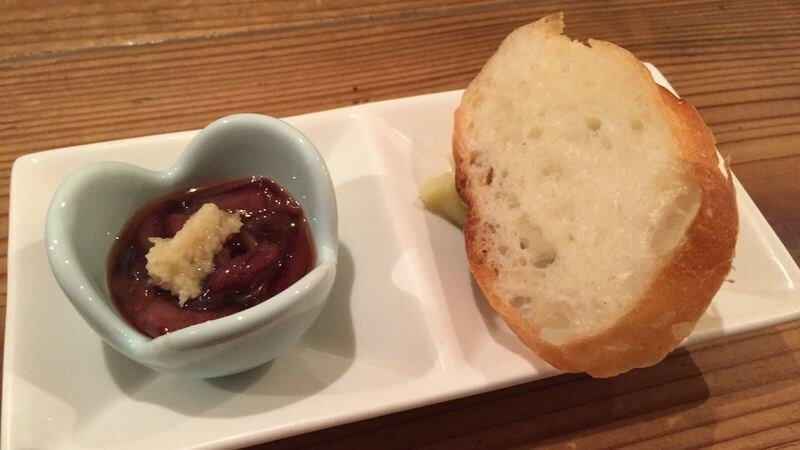 The salty squid with ginger was great, but the blue cheese paste with the baguette piece was even better. 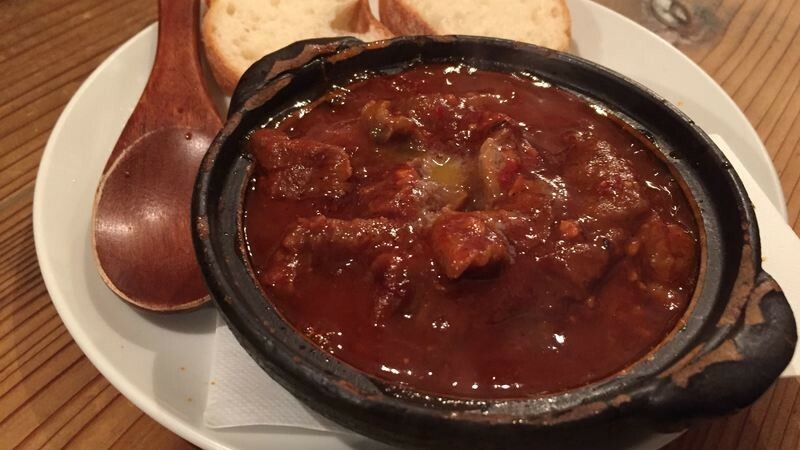 And here is what Jijibaba is maybe the most famous for: their beef chili-stew. The taste is spicy but at the same time mellow and round. 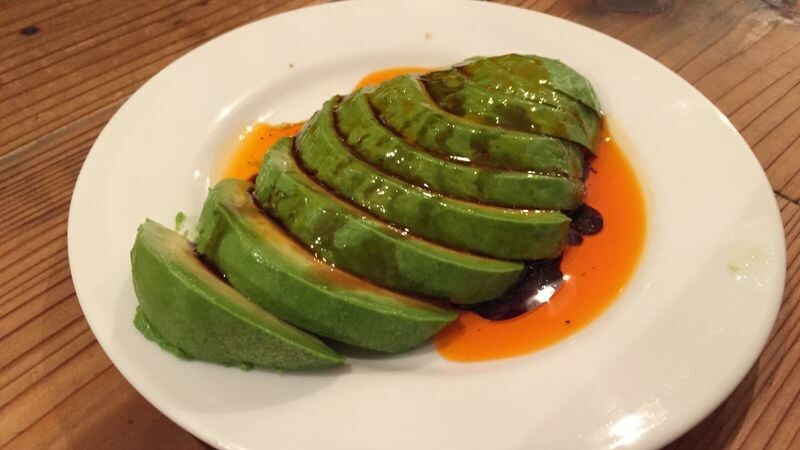 This is their other specialty: avocado in rayu chili oil. The creaminess of the avocado worked with the chili oil like soy sauce does with sashimi; they just fit together. Lastly, we had a bowl of soba noodles with some grated radish. The hotness of the taste of the radish goes well with the noodles, accentuating the taste of the buckwheat in them. I have to say that this was the best bowl of soba noodles I have ever had in Kyoto. 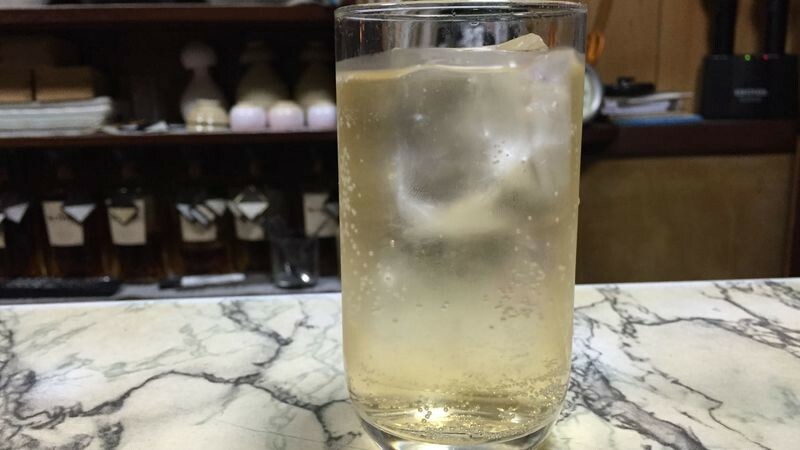 Next, we headed to… Jijibaba again, but this time their second pub, a wine bar aptly named Jijibaba DOS. 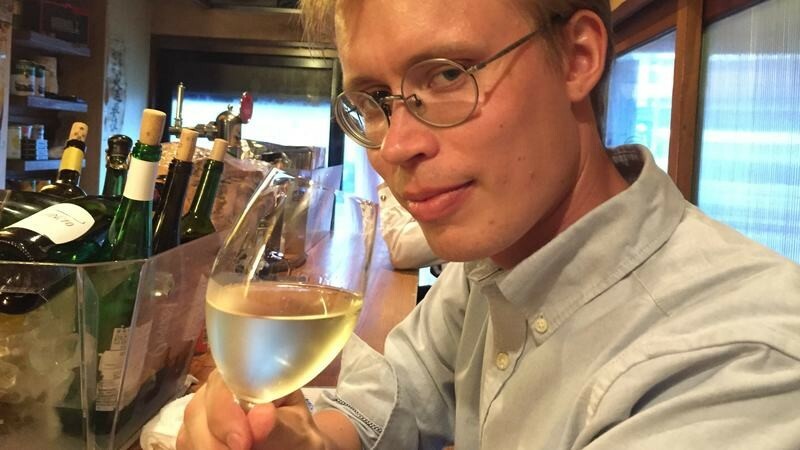 Here we had some white wine for a change. 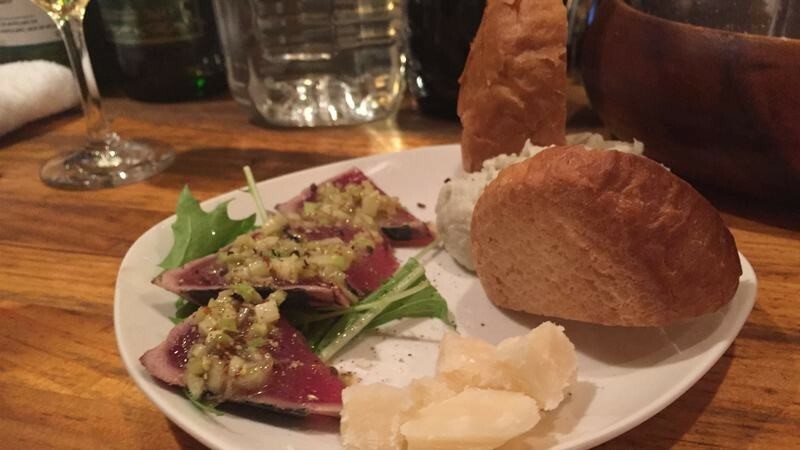 And the second Jijibaba’s otoshi: some parmesan cheese, tataki-style sashimi, and some blue cheese paste with bread. 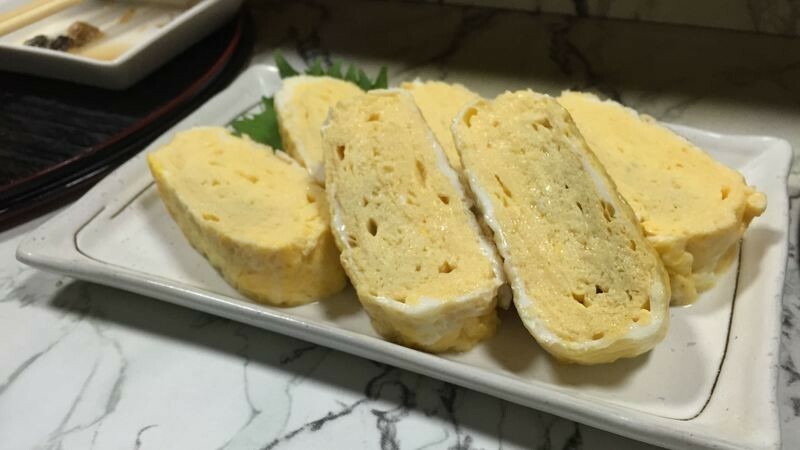 A rather luxurious dish for otoshi! 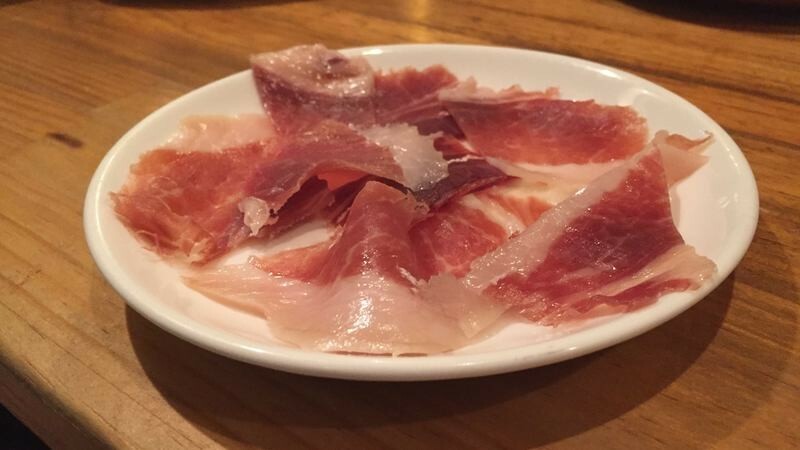 And then some freshly cut Iberico ham, a delicacy your normal izakaya won’t have. But what completely stole the show here was this plate of lamp carpaccio. 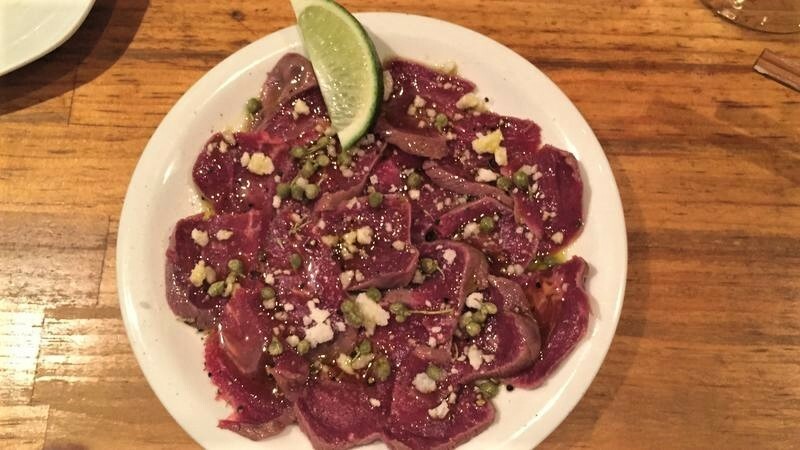 The thinly sliced pieces of lamp with parmesan and capers were a mouth-watering treat you got to have again. This dish is one of the most popular ones on the menu, so they may not always have it available. When we went there we were lucky to get the last portion they had that day. Next we decided to look for something Japanese again. 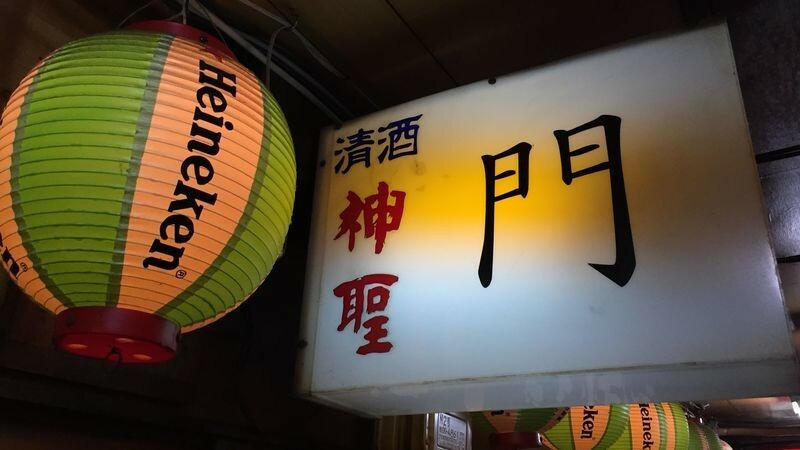 And found the inviting Heineken lanterns of Mon, and decided to have some horumon, beef offal. 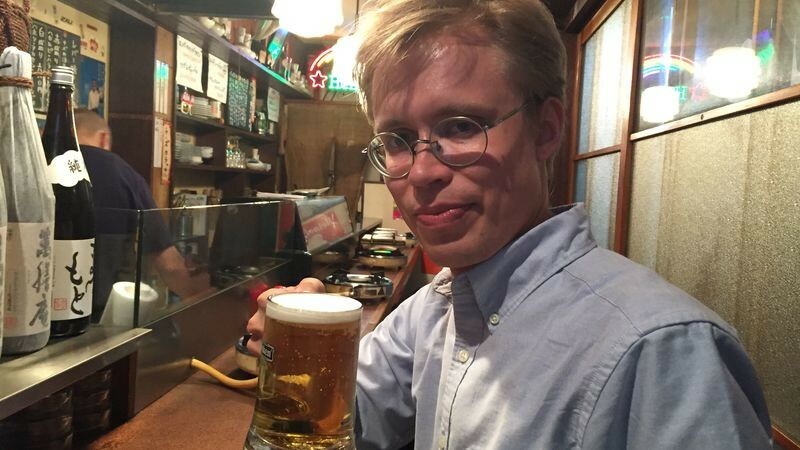 It’s rare to see Heineken in Japan, and in a horumon place at that! 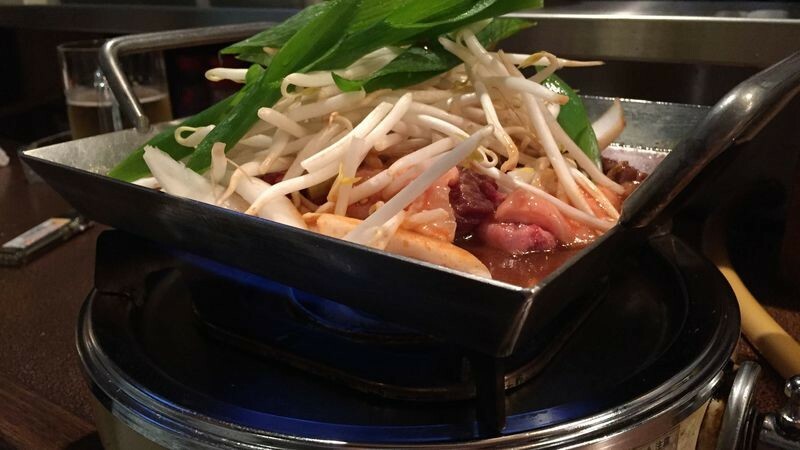 Here at Mon you get your own gas stove to prepare your horumon just to your liking. Just be careful not to burn your horumon to the pan. At Mon you get quite a lot for your money. For around 1500 yen you get this big portion of horumon and beef, and the taste has just the right richness and spiciness to it. And this is what the dish looks after a bit of stewing. 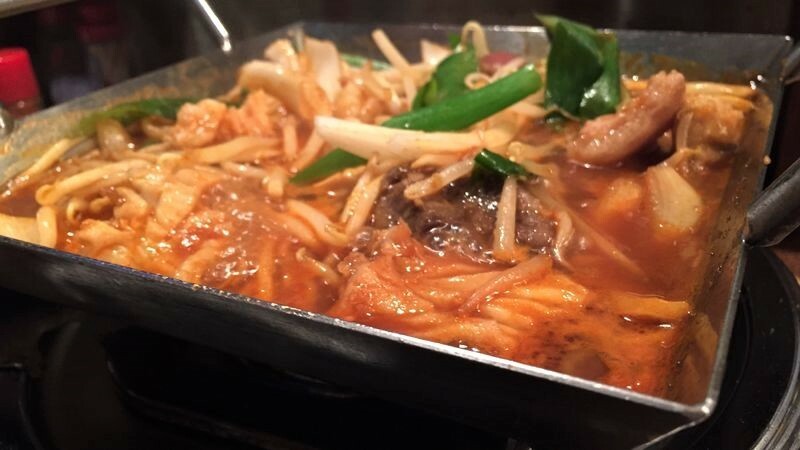 The sweet smell of the beef and the spicy smell of the chili in the sauce make your mouth water. 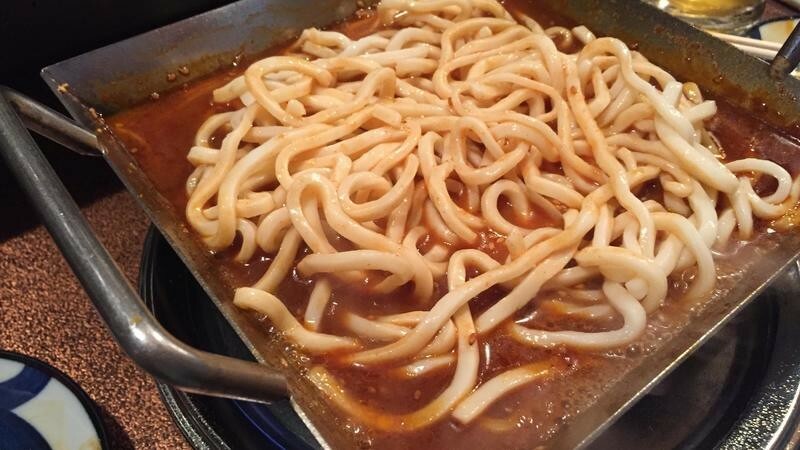 What is great about Mon is that you order some udon noodles or rice to finish your voyage to the world of horumon. 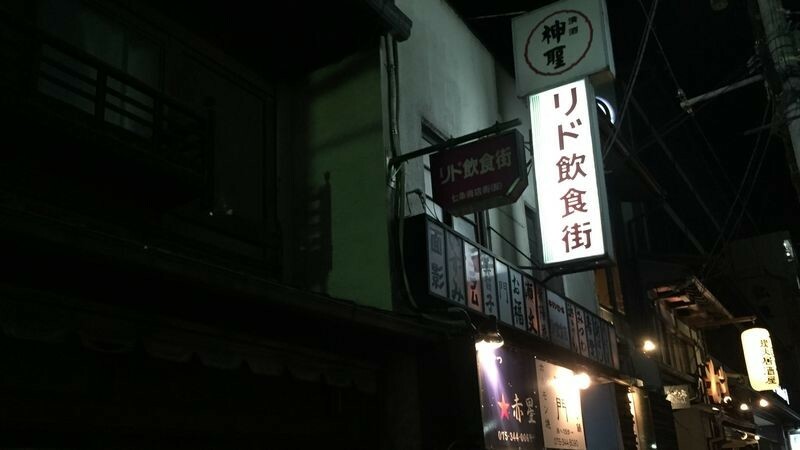 To finish of our night, we headed for a “shiroto ryori,” a pub offering amateur cooking. These places are usually quite nice as long as you don’t expect anything that tastes especially good – average is the word here. 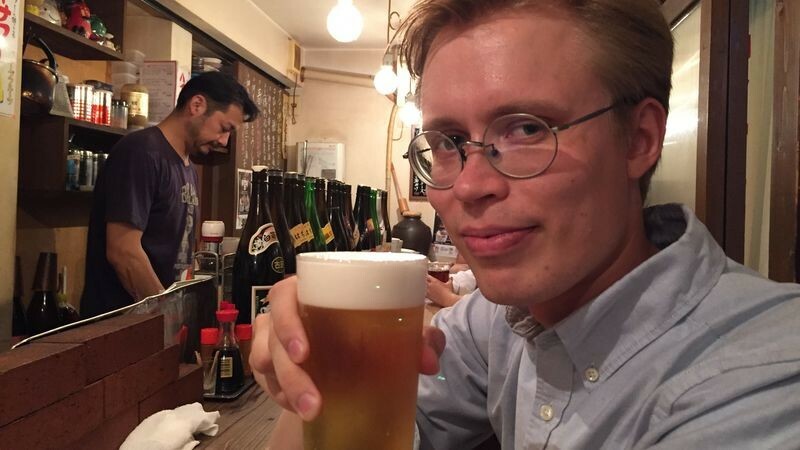 When we got to Akemi, there was no one else in the small pub except for us and, of course, Akemi herself. She poured us some rather good whiskey highballs and told us of the good old times. Here too, you get an otoshi for the cover fee, and this was actually the best tasting dish we had at Akemi. It was just prosciutto with some onions and broccoli, but it tasted fresh and the taste of the prosciutto was surprisingly mellow. Then we got some dashimaki, a Japanese omelet that uses dashi stock in it. This dish may not look as good as the ones you normally get at other restaurants in Kyoto, but the taste was there. Akemi actually had an ace up her sleeve: karaoke. Too bad that this time we didn’t have enough time to sing, otherwise I would have definitely sung the timeless classic “Sukiyaki” by Kyu Sakamoto. So we left Akemi behind, and headed for home. All in all, the food here was exceptional, though the prices too were not as cheap as at Orizuru Kaikan. 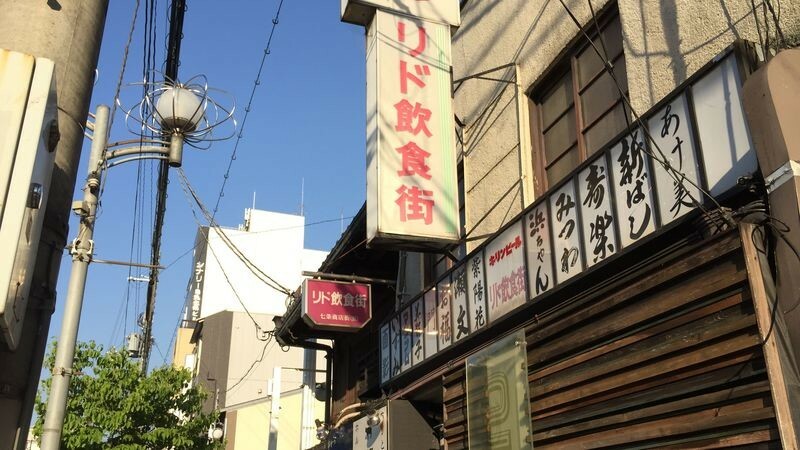 But the place is really easy to get to, as it is right by the Kyoto Tower, and especially Jijibaba is almost a high-grade restaurant, so this is definitely a place I’m going to visit again. 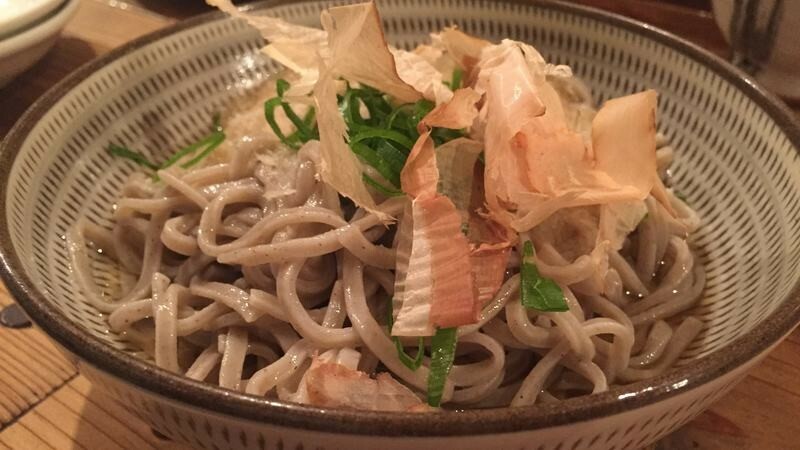 Plus, the soba you can get here is the best in Kyoto. I had been interested in Lido Inshokugai for some time, but this was my first time to actually go there! 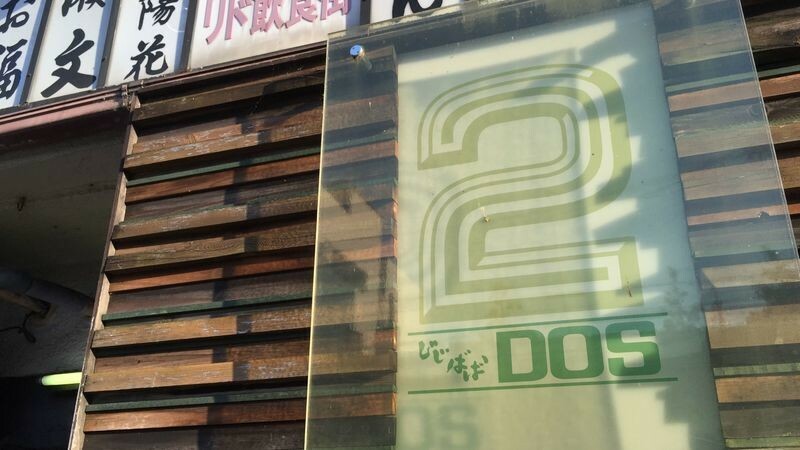 It’s hard to believe there is a place as retro and “deep” as this one just a 5-minute walk from Kyoto Station. 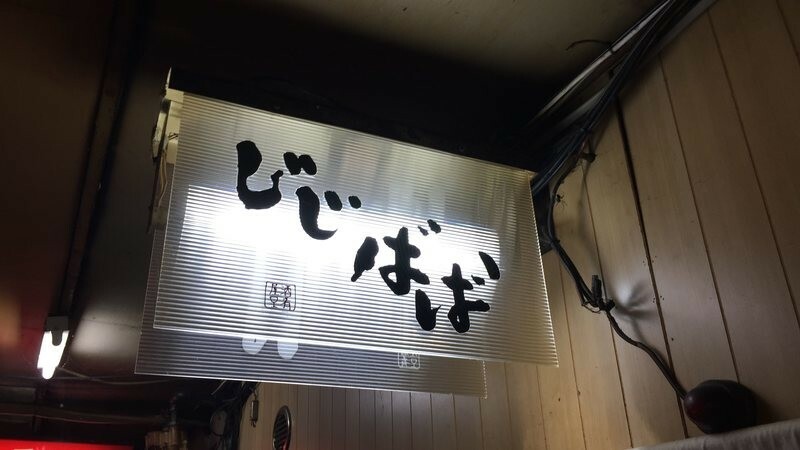 I was surprised by the quality of the food here, and this place is a great place to learn about the tradition of “hashigozake” – pub crawl!